Elgin is home to famous brands such as Glen Moray, Johnstons of Elgin and Gordon & MacPhail, with Baxters of Fochabers only a few miles east and Walkers of Aberlour a short drive south. With a range of specialist shops as well as high street names, stunning cathedral ruins, plus distilleries, castles and beaches nearby, there is plenty to see and do in and around this Morayshire city. Blackhills Estate is a 4000 acre country estate consisting of farms, woodlands and moorland. The cottages are situated in the grounds of Blackhills House at the centre of the Estate and are reached by a half mile of private (tarmac) drive. 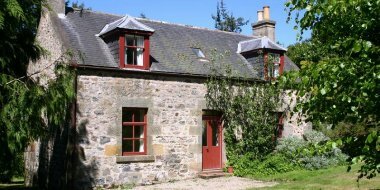 This detached cottage is located in the village of Kinross and can sleep eight people in four bedrooms. 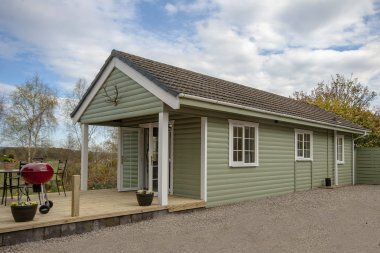 Springburn Self Catering Log Cabins are situated in the heart of Morayshire, among beautiful scenery and spectacular wildlife in one of the North East of Scotland's most unspoilt areas which is steeped in history and folklore. Relax at Carden in our luxury courtyard cottages where a warm welcome awaits you and make them your home from home whatever the weather. From this ideal location come and discover Moray its coast, walks, wildlife, golf courses, whisky, castle and heritage trails.